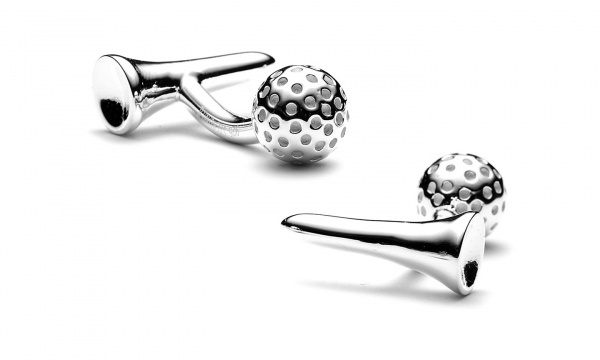 Ravi Ratan lets you hit the country club in style with these golf themed reversible cufflinks! A sterling silver base is the canvas for this playful design, featuring a golf ball on one side, and the tees on the other. A great way to keep your mind on the links all the time, you can find these cufflinks online now. This entry was posted in Accessories, Cufflinks and tagged Ravi Ratan. Bookmark the permalink.